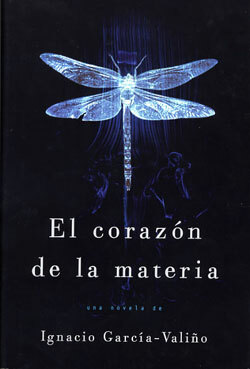 He Heart of the Matter Ignacio Garcia-Valino, is not a book of science fiction, although part of his argument takes place in scientific circles and many of the dilemmas posed the protagonist are rooted in particle physics. The book tells the life of Lucas Frias, a promising specialized in quarks and subatomic particles, working at CERN and who has sacrificed everything for his career scientist. The death of his partner in a car accident that Luke used to make a parenthesis in his life and while trying to investigate the causes of the accident of your partner realize that almost did not know. It has been talking a lot about how Barack Obama has used the Internet to publicize his candidacy and for mobilizing voters. It has also been commented on many blogs the ambitious technology plan Obama for America (you can read here). But one of the things that has caught more attention and few people have noticed: the change that has suffered the Robots.txt the website of the White House, very much in line with what Obama preaches. It is a text file containing instructions on pages and not visitable visitable by Robots, a web page. 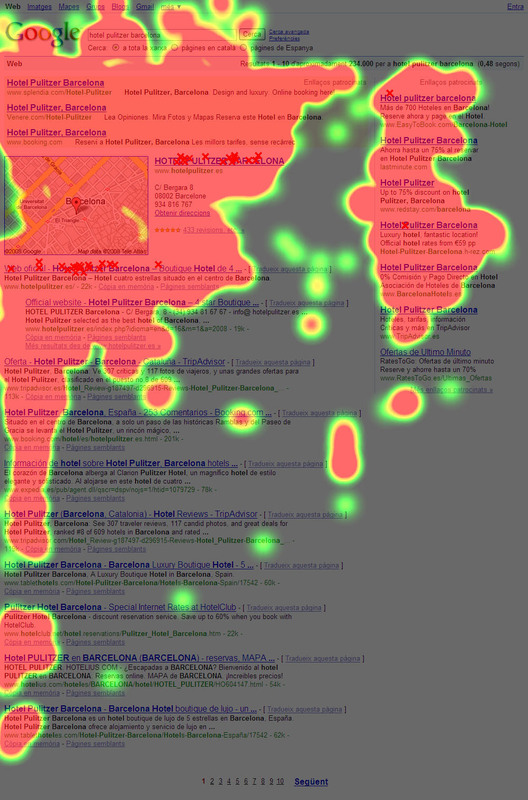 That is, it indicates which parts of the website should not be scanned by robots. Normally, it is content that appears on the website, but only want it to be accessible to people who surf the web, you do not want it indexed content appears in search engines. 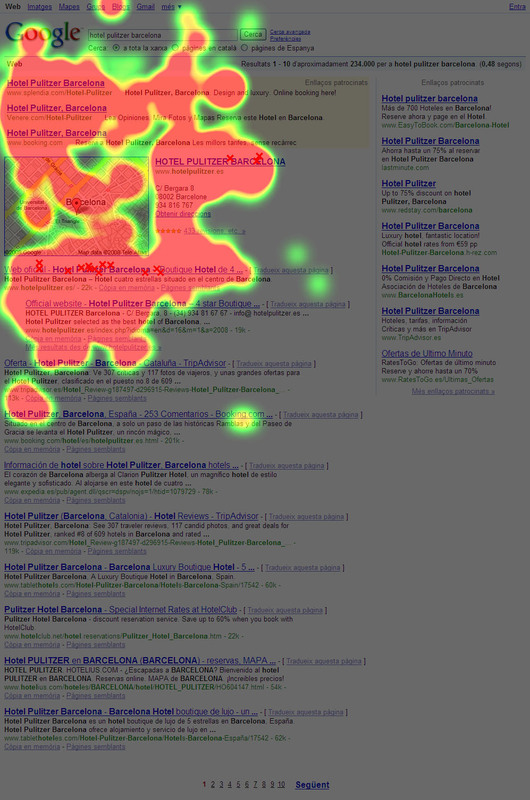 It is also used when a content manager creates duplicate content and thus penalized by search engines. This file is created following the instructions can be found here: RobotsAnd all the robots that follow the "Robots Exclusion Protocol"Undertake to heed these instructions. If a website has created this text file, robots understand that they can index it (although to be sought from that page robots.txt robots generate a 404 and therefore, it is recommended that a blank page is created and FTP upload is named Robots.txt to thus generated 404 on the page will be real and can be released by the webmaster). A robots.txt page completely exaggerated and misplaced. Well ... Obama has me "saboteado"Examples and it loaded my example of malpractice in a matter of Robots.txt: The webmaster of the new website of the White House has created a new Robots.txt well done, clear and concise. The webmaster of George Bush Jr., had created a robots.txt with thousands and thousands of pages with forbidden access to the robots. Or say fits that ... there was nothing interesting in that content (once he had dedicated me to go read what they did not want it to be indexed ... pictures of the first lady, speeches, etc ...). But it showed well that the White House had a somewhat archaic what is internet and publishing content concept. The new websmaster, in this sense, is shown to have much clearer what should be the website of an institution like the White House. It is worth ... but how was this Robots.txt? Fortunately, in the slides of my classes always I include screenshots of what I explain, not fail me the internet or where class have no connection ... (how sad to have to always think about this possibility). 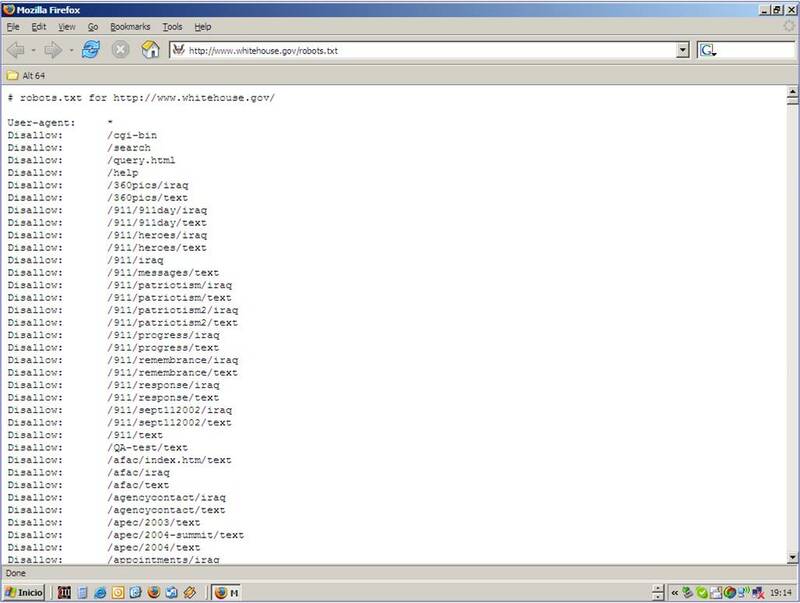 The current robots.txt page can see it by clicking here: Robots.txt of Casablanca with Obama . 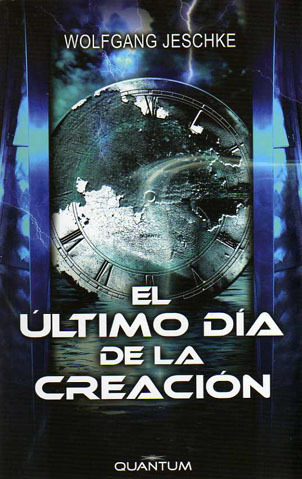 The Last Day of Creation It is a book that really worth reading: it is entertaining, with an original plot, it gives a different view of Atlantis and is pure science fiction of time travel. As it relates to the author, as the title of this post, it is Wolfgang Jeschke, A German author recognized internationally, but I confess I did not know and therefore had not read anything from them before. I'll have to remedy this. The book begins narrating different episodes that are extraneous objects near the Mediterranean, although seem to come from a very distant past, are made of materials that have been around for little, or in some cases, which have not yet been made up. It also explains how some of these anachronistic objects end up being revered as relics by the Christian tradition. A second part of the book takes place during the decade of the 80s of the twentieth century (moment in which was written the first edition of this book) where we have the NASA and the US Navy have just discovered that it is possible to travel to the past. The third part of the narrative is set in the distant past in which only Homo sapiens sapiens are those who have reached the future ... but not only those of our timeline. With reference to Atlantis (I'm dedicating myself to read books that talking about it), located in Bermuda and is a refuge where men who have traveled to the past and have been stranded in time refuge. In this way it explains both the strange phenomena that were so popular last century in Bermuda, as well as the origin of the legend of Atlantis. The explanation is quite convincing. The book reads well and hooks, so in three or four days with some free time, can be read. In several chapters of the book talking about the theory of Tectonic plates and instead of writing "tectonics"The book states"Teutonic"But not once (that could be considered a typo) does several times, in different places and with variations of the word. So as the author is German and the plates are "Teutonic"When the book states that"there are strong tectonic movements in the border area of ​​the Mediterranean basin"Gives a little laugh to imagine a whole group of Germans moving through the Mediterranean and modeling the relief. These two stories do not remove the book is 100% recommended and worth reading and spend a long time thinking about paradoxes, anachronisms and in different time lines. Richard Teerlink has been responsible for the revitalization of this American icon in 1985 was about to close its doors. Investing in product quality, customer satisfaction and human capital Teerlink Harley managed to return to its place today. For the lucky ones who were able to attend the event he explained how he had managed to increase the market share of Harley 13% (in 1985) to 49% today and what changes were made in the organization of which back then was CFO. Richard Teerlink, the most difficult in the conversion of Harley was to convince the managers themselves that it was necessary conversion. "For change to occur, the first to change must be managers." In the early 80's, in a few months, the United States were invaded by Japanese motorcycles sold at much lower prices than Harley. Managers and employees of Harley thought the Harley brand could never lose market share (nearly 60%) thought that the Japanese bikes could not be robust or good-quality (or its price or its appearance) and also , Americans would not buy Japanese bikes. The three assumptions proved false. In 1985 its market share had fallen to 13% and Harley Davidson was near bankruptcy. For Harley executives had several options: give up and close, invest in marketing and try a traditional solution, or reinvent the entire organization or fail risking getting the best of success. They were shuffled 3 and there who took the first, the whole enterprise, in the end chose the third. Richard Teerlink insisted that resistance to change is inevitable, but can be reduced by providing clarity about expected and how things will change. Normally people do not resist change itself, if not to be changed themselves. To Teerlink the secret is that all the company must go to work for a common cause. A good leader is getting your people to work to achieve common goals because they want themselves, not because they have to. Being the case of what happens in the world. Responsibility for each individual company. personal involvement in the projects. mutual appreciation between the whole team. In the case of Harley, the common reason that fight was decided to convert a company that sold motorcycles in a business that sells motorcycle reason to go and live the "American Nostalgia". And it worked. Teerlink says that a good leader should ask the following day: Am I making resources for people who work with me to carry out their work? Am I sure that my employees can grow as individuals and develop? In a company it is important to differentiate your products and processes with features that distinguish them from those of competitors. But the main difference between Harley and a company logo or another is the commitment of the employees themselves. When employees are fully identified with the company great value for customers it is generated and these perceived and become part of the "cause" for which they work. The reputation for quality and brand trust. The reputation that the company makes money. Having a large market share. Familiarity with your business (know exactly what you do). Getting to know your customer. Again, Teerlink and Tom Peters also agreed on this point. For both the secret it is to forget about the product (we start from the basis that the product is good) and focus on connecting emotionally with the client. Quote Steerlink "Give the customer a reason to drive a motorcycle and have a good time”. Obviously what you want is to sell motorcycles, but all marketing efforts focus on communicating things they can do and feel, while driving or traveling from one place to another, with his Harley motorcycles. At the risk of repeating myself, Teerlink said Tom Peters the same as "change is needed to accommodate the FTL speed at which our environment moves ". No choice but to surround yourself with people who think for themselves, to be responsible for their actions and constantly adapt. Hence the importance that all company employees know what is the mission of this. Otherwise the changes would have different goals in different areas of it. But Teerlink makes clear that change for change's not a good thing, should be changed for some reason. Though normally, most of the changes that take place in a company are to correct past mistakes management or trial. One is an advertisement for Harley oriented convey quality and robustness of their bikes, while reinforcing the message of the "American Nostalgia": The ad shows a 3 American tiparrones, size XXL, with their beards and long hair, dresses leather and studs, and with his Harley parked in front. Text quote: "Would you sell it to these guys a defective bike and lost oil? US Niether. Harley-Davidson motorcycles... "(.... I do not remember the rest ...). I found terrific !!! The other was a comment the same Teerlink about "the pressure of working in a company where customers tattoo the brand on breasts and forearms"... really should be an experience ... Have you ever felt something like a brand? Friday 20 February at 9 am at the Casa Llotja de Barcelona, ​​the day is entitled to be held How to stand out from the competition and maximize results? These seminars are organized by the Barcelona Chamber of Commerce along with PIMESTIC and aim to help Catalan companies to recoup their investments in Internet through Digital Marketing activities. Since GEA IPC participate explaining in detail 9 Basic Techniques to attract visitors to a WebsiteAnd explaining a little above (the time no longer works) other techniques that affect other processes of Digital Marketing. Among the speakers of the day is one of our clients BD Barcelona - www.bdbarcelona.com that as a Best Practice explain their experiences at the level of Digital Marketing and how you are running your new website, which fills us with pride. This event will also serve to introduce the Digital Marketing Guide has published the Barcelona Chamber of Commerce along with PIMESTIC and will be presented over the next few weeks in other branches of the House of Barcelona. The Guide entragará, free of charge, to all those attending the conference. 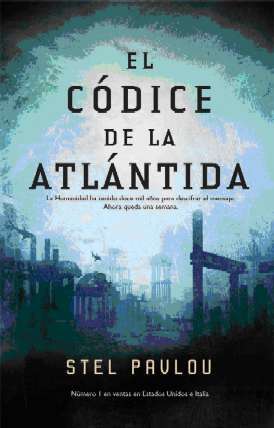 Following my "Year Atlantis", this Christmas I read "The Codex of Atlantis" No. 1 in sales in the United States and Italy (as indicated by the editors in Spain). Just in case, the editors have published Thrillers collection rather than on Science Fiction, which is where it really should be, I guess to see if the sales figures are emulated in other countries. (I get? ... I think you go for the 5th edition). The book is interesting and well written to be read evasion. According to the thesis of the book, all the monuments of antiquity are connected and are actually part of a machine on a planetary scale, capable of saving humanity or condemn it. The task of the players is to try to be the first of these premises, rather than the total annihilation of the human species. ... And they do, but just barely. As a curiosity, commenting at one point in the book, talking about the biological timing of the banks of jellyfish, the author uses to explain the resonance and makes one of the protagonists explain how Huygens in 1660 when he was ill in bed, he noticed that the pendulums of two of its timepieces ranged at the same time when the clocks were coming. If they moved causing them to lose the pace, they came back after a while to move in coordination. If the clocks are separated, they not tuned. This reminded me of a video demonstration of this same effect, but this time, illustrating tuning 3 metronomes. This tuning approach is the same that governs the movements of groups of animals: groups of fireflies, flocks of birds that change direction, fish stocks, etc. I like to find non-academic books that leverage to popularize science!